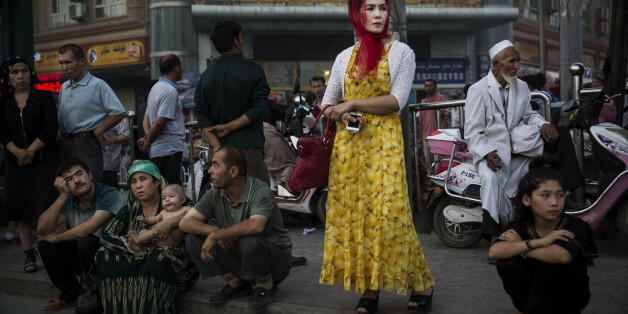 BEIJING (Reuters) - A city in China's restive western region of Xinjiang has banned people with head scarves, veils and long beards from boarding buses, as the government battles unrest with a policy that critics said discriminates against Muslims. In July, authorities in Xinjiang's capital Urumqi banned bus passengers from carrying items ranging from cigarette lighters to yogurt and water, in a bid to prevent violent attacks. "Officials in Karamay city are endorsing an openly racist and discriminatory policy aimed at ordinary Uighur people," Alim Seytoff, the president of the Washington-based Uyghur American Association, said in an emailed statement. Police have offered money for tips on everything from "violent terrorism training" to individuals who grow long beards. About 100 people were killed when knife-wielding attackers staged assaults in two towns in the region's south in late July, state media said, including 59 "terrorists" shot dead by police. A suicide bombing killed 39 people at a market in Urumqi in May. CORRECTION: The headline has been amended to correct that Chinese city Karamay issued the ban, not China's national government.